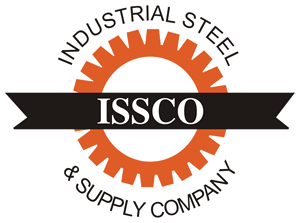 Cold Finish & Alloy Bars - Industrial Steel & Supply Co.
1018 (HR, CF) –Low carbon, general purpose steel. It has hardening properties suitable for shafting that does not require high strength. Readily weldable. 1045 (HR, CF) – Medium carbon steel used when greater strength and hardness is desired in a rolled condition. Suitable for flame and induction hardening. Uses include gears, axles, bolts, studs and machine parts. 1144 (HR, CF) – A medium carbon steel that has superior machinability when compared to plain carbon steels. Uses include gears, shafts, axles, bolts, studs and pins. 12L14 (CF) – A lead bearing, extraordinarily fast machining steel. It offers ductility with fine surface quality. Readily machinable. Conforms to ASTM A108. 4140 – A medium carbon steel with a broad range of strength and toughness. Attainable through variations in heat treatment. It has harden ability, strength, wear resistance and ductility.